It is fascinating that yesterday’s date doesn’t only mark the 30th Anniversary of the Chernobyl Nuclear Disaster, but it also represents the closing of the Gundremmingen nuclear power plant in Germany because of a computer virus scare. This hasn’t been the first cyber-attack on power sources in recent times. At the beginning of the year, Ukraine became a victim of a hacker’s attack and thousands of homes and businesses in the Ivano-Frankivsk region were left helpless and deprived of any power sources. Power grids have always been favourite targets for cyber attackers. There have been instances of malware programs capable of bringing down a whole power plant and leaving vast regions with no electricity for weeks. 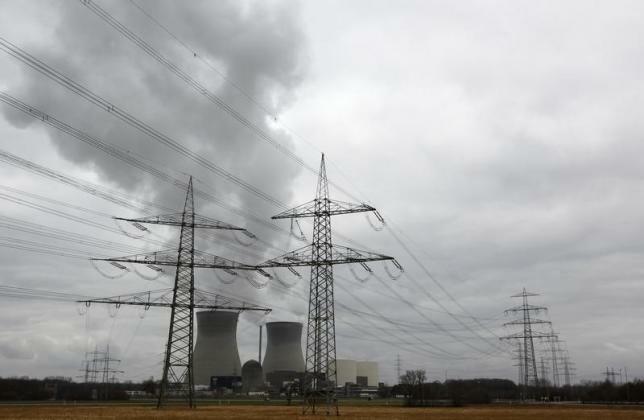 According to the official statement the Gundremmingen power plant issued in this particular case, malicious software compromised the integrity of the network that was responsible for the fuel handling of Block B. Also, it was officially verified that the used malware did not come from the Internet, implying that an inside person must have planted it into the computer system. Fortunately, the malicious programs couldn’t affect the ICS/SCADA equipment- the parts responsible for the interaction with the nuclear fuel of the plant. Nevertheless, they did influence the computer systems. It is alleged that they infiltrated the machines by accident- via a contagious USB drive placed there by an unknown person. It should actually be noted that the Gundremmingen power plant didn’t close because of the malware issue. In fact, the power plant technicians shut it down to prevent any possible further damage, in spite of the alleged harmlessness of the malware. What’s interesting about the whole situation is that April 26, 2016 commemorates the 30th anniversary of the Chernobyl nuclear disaster. It also makes sense to mention that the Gundremmingen power plant is scheduled to close down for good in 2021. Of course, some people are not particularly happy with this decision and passionately protest in order to shut down the reactors sooner than that. The coincidence with the unfortunate events at Chernobyl actually made the news about the the Gundremmingen power plant a headline material. There is still no official information why and in what way the malicious software got into the computer system of the nuclear station. Such cyber attacks on the security of the power grids come to show us that the threat of another nuclear disaster is real and the issue is serious, despite the innovations in the design and the stability of the power plants nowadays. Every nation should think seriously about that because humanity cannot afford to let another Chernobyl happen. The soft spots and the possible vulnerabilities of the computer systems of the power stations around the world should be thoroughly examined. Currently there have been important ongoing debates on whether there should even exist nuclear plants. However, there is no definite answer to such questions. At the time being the Gundremmingen power plant is still offline. We may find out more about the exact condition of the nuclear power plant later because the information above is breaking news at the time our article appears.